Anime and spirits have a mixed history of quality. There are plenty of anime about spirits and how they interact with humans, but they have a wide range of quality. From the slow and measured Mushi-shi to the urban fighting anime Yu Yu Hakusho to the ghastly boring Ghost Stories, the choice of spirit anime is broad. Where does GeGeGe no Kitarou fit in? First, Kitarou is a childrens anime about the spirit Kitarou, a problem solver who works to keep evil spirits from invading the human world. 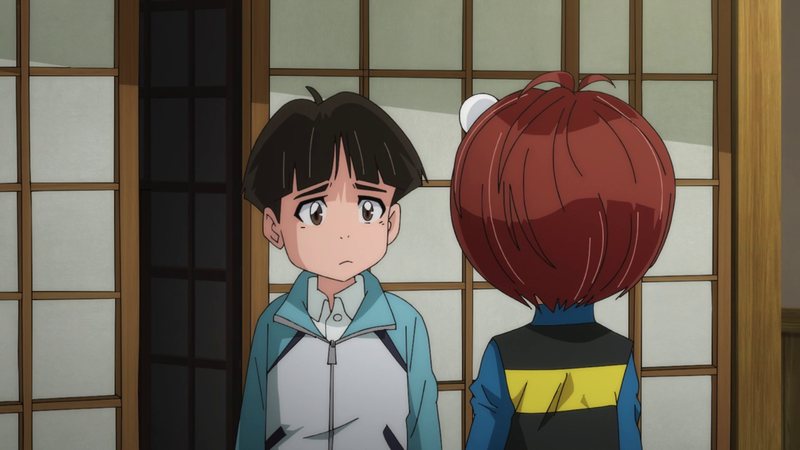 Kitarou has a recurring cast, many of whom are cute and have interesting Japanese qualities. Kitarous father died and came back as an eyeball, for example. There are human characters, but they are bland compared to the spirit cast. Second, Kitarou is a weekly monster anime. 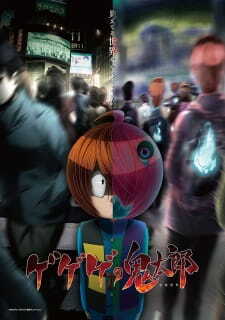 A threat arises, people are captured or killed, and Kitarou and friends defeat the threat. I appreciate that this anime has the whole cast contribute, as Kitarou often does not have the strength to defeat the threats on his own. Some powers remind me of Yu Yu Hakusho, like Kitarous Finger Blast. Third, the treatment of the spirits is between Mushi-shi and Ghost Stories. The spirits of Kitarou are more interesting and are explained better than the monsters of Ghost Stories, but the psychology behind the spirits pales next to Mushi-shi. Kitarou works best as an introduction to Japanese spirits, while leaving children the opportunity to learn more about the spirits by themselves. One notable aspect of Kitarou is the opening and ending. The opening song was written in the sixties and has been used almost continuously since then. The song informs the viewer about the tone of Kitarou while sounding almost like a folk song. The ending song is modern, but is gleeful in its creepy quality. Kitarou is a fun anime. The cast is entertaining, the spirits are interestingly designed and the music is memorable. The problems are the lack of depth for the spirits, and the lack of compelling story. This works best for children, and children can enjoy this safely (except for one episode).